This exquisite Ponderosa Cove home is approx 2,839 sqft of living space comprising of 4 beds, and large loft possibly a 5th bedroom, 3 full baths (1bed/1 bath downstairs). Spacious formal living room with dramatic cathedral ceilings, elegant staircase with custom lighting, beautiful picture windows, gleaming hardwood flooring, and adorn interior. Chef's kitchen offers granite slab counter top, window over sink, large center island, lots of maple wood cabinetry, spacious dining area, and large sliding glass door leading out into the lovely backyard. Enjoy entertaining family and friends in the open family room boasting a gas burning fireplace with custom mantel and entertainment niche. Spacious backyard with custom patio, sprawling green lawn and mature landscaping. This home also features a tandem 3 car garage. 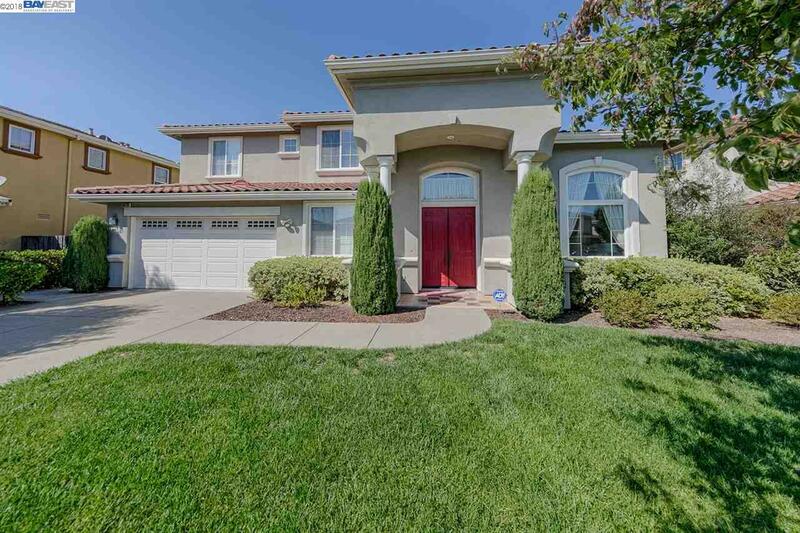 Close commute to Silicon Valley, 880,84, Facebook, Google, BART, and close to shopping plus so much more. Do not miss this opportunity to see this home in pristine condition!